Halal Skincare: Understanding What's So Special About It? 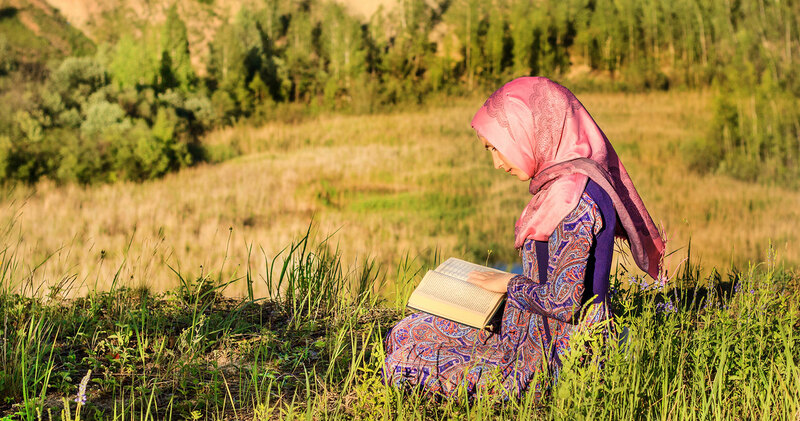 Understanding Halal Skincare: What’s So Special About It? A global boom in the halal skincare industry has raised many questions in the minds of Muslims and non-Muslims alike. Muslims with a religious upbringing are becoming more aware of impure ingredients used in the cosmetic industry. This new information has led many to discover the truth behind halal and haram concerning skincare products. 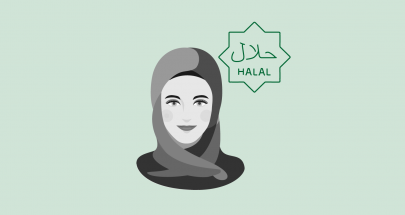 This article will focus on these terms, especially “halal”, mainly on the topic of skincare and food. What are halal skin care products? Is halal also vegan and cruelty-free? Halal and haram apply to all aspects of life, not just food products and cosmetics. 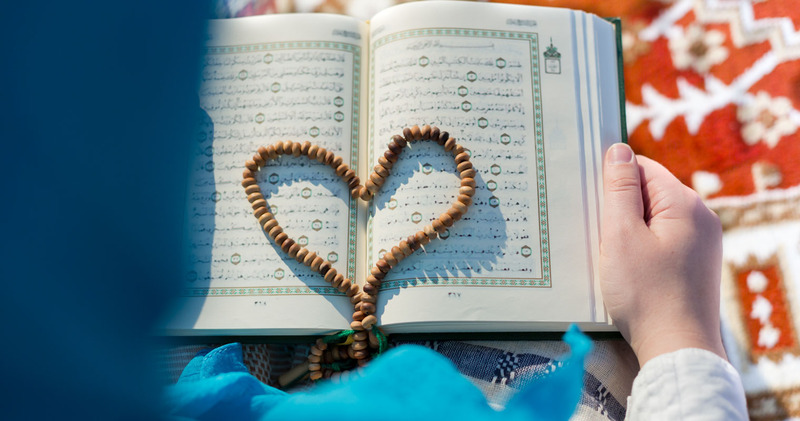 Among its 114 chapters, the Quran (the Muslim scripture) declares certain acts and practices as halal or haram. Halal: Lawful – Implying the permissibility of usage or engagement with an object or an act, as authorized by the Sharia (Islamic Law). Haram: Unlawful – Implying anything that is impermissible, unlawful, forbidden or prohibited. The Holy Quran gives a clear description of the subject of unlawful edibles. This verse, along with a few others, forms the doctrine of halal food. The concept of halal skin care products is derived from the same content. Things which are prohibited from consumption, such as swine and alcohol, are also considered as haram when used in cosmetics and toiletries. Halal cosmetics use ingredients that are permissible in Islam. Ingredients derived from pork, dead animals, blood, alcohol, animals that were not slaughtered as per Sharia Law create haram products. Halal products do not contain such ingredients. Different countries have their own halal advisory groups that issue halal certificates. For example, Japan Halal Association (JHA), Halal Advisory Group in New York City, the Islamic Society of the Washington Area, and Halal Certification Europe. The decision committee shall issue a Halal Certificate should the documentation and on-site audit to ensure compliance with its criteria. After the initial certification period, they will conduct surveillance audits to ensure halal standards are maintained. For each halal skincare product, separate application and documentation are required. There are four schools of jurisprudence in Islam. Scholars from each school may have a slightly different opinion on a subject. Although jurists from all schools of thought use a high degree of reasoning to interpret the laws of Islam, some may hold a strict option, while others may provide leniency in the ruling based on the principles of Umoom-e-Balwa (public predicament). An important concept when it comes to haram ingredients in food and cosmetics is that of Istihalah. Istihalah is an Arabic word which literally means transform or change. Scholars use this term to refer to the transformation of haram or impure substance into a new form that is pure and halal. 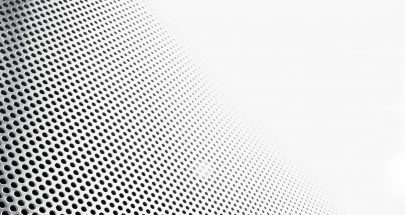 It is a well-known concept that chemicals react with one another to form new products. This could either be due to another chemical in the chain of reaction or some other method used intentionally to change the chemical nature of a substance. Istihalah uses the same knowledge. It integrates science with Islamic law to derive conclusions on the halal/haram nature of ingredients used in edibles and cosmetics. This verse clearly describes how a food that the cattle ate converts into both halal and haram products. (Milk is halal, whereas blood and excrement of the animal is haram.) The verse illustrates the concept of change in the nature of a substance and how it can result in a halal or haram element. Additionally, there are many sayings of Prophet Muhammad (peace be upon him) that point towards Istihalah. For example, liquor is haram, but the liquor turned into vinegar is halal. Similarly, musk derived from deer blood is halal, whereas blood itself is haram. The concept of Istihalah has a relevant and robust basis in Islam. Muslim jurists have two standpoints on Istihalah. Although jurists agree on the fact that Istihalah is a purification process of impure/haram substances, they differ on the aspect of whether Istihalah is applicable in a few cases or all cases. This school of thought states that if the process is unnatural, a transformation of a substance is not considered under Istihalah. Hence, one is not allowed to use cosmetics that contain impure substances, such as pork-based gelatin, porcine, and glycerin, as per this standpoint of scholars. irrespective of a natural or unnatural process. If liquor – the mother of all impure substances – can transform into pure vinegar, we must agree that other impure substances can also transform into something pure. According to this opinion, animal faeces – which are otherwise impure – become pure when burned into ashes. A sharp contrast between the two opinions on Istihalah may seem confusing. However, the second standpoint is based on the principle of qiyas. (This is a process that uses the teachings of the Quran and hadith and applies known injunction in Islam to create new injunctions for a new circumstance.) Scholars from the second group classified substances as impure based on the nature of the impurity found in that substance. When the impurity is gone (due to transformation), the substance automatically becomes pure. Use of all cosmetics and skincare products which contain ingredients from impure animals are haram for a Muslim. From this fatwa, it is clear that jurists in Malaysia follow the first standpoint on Istihalah and are stricter in their rulings. Contrary to the MNFC, the jurists of the Middle East have less stringent fatwas and they follow the second standpoint in the case of Istihalah. According to these jurists, if any impure ingredient converts into another substance, which is pure, then it is no longer haram. That’s why cosmetics and toiletries such as shampoos, lipsticks, soaps, moisturizers, and other products have gone through Istihalah are permissible. 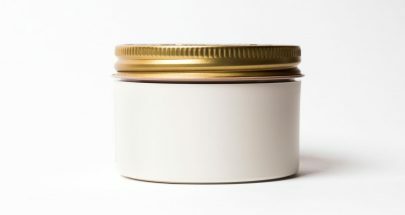 We get lanolin from sheep’s wool, and it is also known as wool grease or wool wax. It is a common animal ingredient in skincare products. A sheep slaughtered in the prescribed manner belongs to a list of halal animals, and it is, therefore, halal to use ingredients derived from such an animal and use it in cosmetics. All hair, feathers, and wool are pure, whether they are from an animal that may be eaten or the skin of an animal that may not be eaten, and whether they were taken from an animal that was alive or dead. This is the most likely to be correct of the scholarly opinions. The impurity of alcohol is one of the reasons that most halal skin care products contain the tag “alcohol-free” on the box. The impurities include ethyl alcohol (ethanol) and alcohol originating from dates or grapes. The use of ethanol containing deodorants and cosmetics will make the body as well as the clothing impure. However, it is permissible to use skin care products containing other forms of alcohol, such as benzyl alcohol. Gelatin is a standard protein in cosmetics. It comes from boiling the skin, tendons, ligaments, and bones of cows or pigs. Similarly to alcohol, pig-derived ingredients are impure in both tangible and intangible ways. Mufti Taqi Uthmani has mentioned the issue of gelatin products in In’am al-Bari (lessons on Sahih al-Bukhari). He explains that the skin, which undergoes a purification process (usually tanning), and bones of halal animals are pure irrespective of their dhabihah status. Gelatin derived from cows is thus permissible for external use. It is a common conditioning agent in skin care products and makeup and originates from hogs. The ruling is similar: use of such cosmetics is impermissible. Vegetarians only refrain from using the meat of slaughtered animals, whereas vegans also refrain from using animal by-products. These include eggs and dairy. Halal cosmetics, on the other hand, are not necessarily devoid of animal ingredients; they may still contain propolis, beeswax, honey, and ingredients obtained from halal animals. Make use of the two remedies: honey and the Quran. The details on honey and halal animals clear the confusion around vegan vs. halal. Islam allows the use of plants for internal and external use, except ones that are toxic. However, vegan products are not necessarily halal. A vegan product may not contain animal-derived ingredients, but it may still have alcohol in it. Based on the discussion above, it is clear that alcohol is impure and renders a product impermissible for use. However, alcohol-free vegan products are halal. This is a common misconception based on the fact that substance can enter the body through the skin. Although skin has absorption abilities, the Islamic teachings on the rules of halal and haram show that impermissible edibles are not necessarily haram for external use. The concept of halal is one of the most important aspects of Islam. Muslims prefer halal food and skincare products as part of their religious requirements. Allah rewards a Muslin every time he submits to His commands. The act of consciously choosing halal products is a virtue and a source of earning good deeds for Muslims. Even non-Muslims can benefit from halal products. These products adhere to the highest levels of cleanliness from the manufacturing stage until the packaging of the material. The list on the package does not mention all ingredients. Confirmation of the halal status of any product requires careful planning and an extensive audit of the manufacturing practices. Only a halal certification agency can do that. As a consumer, a halal certified label should help you identify the right product for your skincare. Find out about halal skin care products here. Does your skincare reflect whatever its label is stating? Do you know what all those numbers and claims actually mean? We have broken it down in to sections for you to understand your skincare choices better. [INFOGRAPHIC] Always wondered what is "halal skincare", and what does it mean to be certified as such? Find out more. Previous PostPrevious UV Sunblock and Skin Whitening : How to Avoid or Reverse Darkening?